Editor/Publisher William Reinhardt is a business journalist with 40 years of experience reporting on the development of transportation, energy, and environmental infrastructure projects worldwide. He was a senior editor at Engineering News-Record until 1987. He founded Public Works Financing in 1988, and has been its sole owner, editor and publisher since 1991. 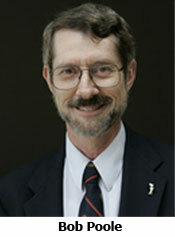 He is a 1972 graduate of Gettysburg College with a degree in English literature. Under Reinhardt’s editorial guidance, Public Works Financing has become the journal of record for the Public-Private Partnership (PPP) industry. Public Works Financing now has 34 advertisers and 3,500 readers on four continents. Reinhardt was one of several authors of a nationwide study of water PPPs for the National Research Council, part of the the National Academy of Sciences. He was a member of a steering committee for a national conference on innovative finance sponsored by the Transportation Research Board of the National Academy of Sciences. He authored a congressional briefing paper, “The Role of Private Investment in Meeting Transportation Infrastructure Needs” in 2011, which provided a foundation for discussion of PPPs in the transportation reauthorization act. Columnist Robert Poole is Director of Transportation Policy and the Searle Freedom Trust Transportation Fellow at the Reason Foundation. He has advised the U.S. DOT and half a dozen state DOTs on transportation policy. Over the past 20 years, he has helped introduce a number of policy ideas into U.S. transportation, including long-term toll concessions, HOT lanes, and truck-only toll lanes. A Reason policy paper Bob wrote in 1988 directly inspired the first state PPP law, enacted in California in 1989. That law led directly to the 91 Express Lanes—the first all-electronic toll road and the first U.S. long-term toll concession project. Poole received his B.S. and M.S. in mechanical engineering at MIT and did graduate work in operations research at NYU. He’s a member of the Transportation Research Board’s Congestion Pricing Committee and its Managed Lanes Committee, and was a member of TRB’s special committee on the long-term viability of fuel taxes for highway funding. 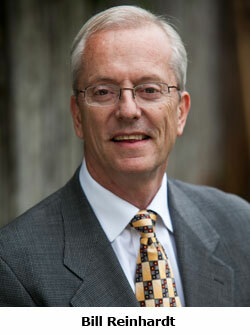 In 2007 he was named “Private Sector Entrepreneur of the Year” by the Public-Private Partnerships division of ARTBA. In 2008 he was a member of the Texas Study Committee on Private Participation in Toll Projects. In 2010 he was a member of Washington State DOT’s Expert Review Panel on the I-405 corridor, and was also a member of the transportation transition team for Florida Gov. Rick Scott. Poole produces Reason’s monthly e-newsletter, Surface Transportation Innovations, and writes a monthly column on transportation policy for Public Works Financing. PWF International Editor Dominick Curcio came to Madrid for McGraw Hill World News in the 1960s and became Business Week’s chief correspondent with responsibility for the Iberian Peninsula and North Africa. From Tripoli, he covered the rise to power of Col. Qaddafi and its repercussions on world oil markets. 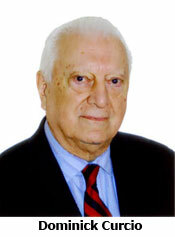 Subsequently, he covered events leading to democratic governments in Portugal and Spain and the impact on their economies. He was elected president of the International Press Club in Madrid in 1975. Curcio then became communications director in the Iberian peninsula of the United Nations Information Service. In 1984, he joined Spanish bank Banco de Vizcaya as Institutional Relations director and spokesman until its merger with Banco Bilbao. He then joined Spain’s leading contractor, Dragados, in 1996, as deputy head of the Information Department. On parting from Dragados, in 2002, Curcio began reporting for Public Works Financing and now follows the global activities of Spanish concession developers. He also tracks economic and business developments for Public Works Financing affecting transportation infrastructure in Spain, Italy, Portugal and Latin America, where he travelled as a former U.N. official. 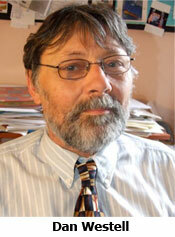 PWF Canada Editor Dan Westell has been a business writer in Toronto for more than 30 years. He has worked as a staff reporter, writer and editor for publications that include The Financial Times (Canada), The Globe and Mail’s Report on Business, The Financial Post, The National Post; and CBC online. He teaches online reporting at Ryerson University, and has been writing about infrastructure finance for Public Works Financing for nearly 15 years. Elizabeth B. Reinhardt is a former banker with Bankers Trust Company. She was the Assistant Treasurer of Harcourt Brace Jovanovich and the Treasurer of Tri-Star Pictures. She has been with Public Works Financing as General Manager since 2003. She graduated from Yale College and has a Masters degree from Columbia University’s School of International Affairs. She and Bill have raised four great kids. The most important thing to know is that PWF is reported and written by old-school journalists. Our average age is 68 years old—prime of life. Everybody working for PWF has been with us for at least 15 years. My wife, Libby, and her big, old dog Logan are my entire headquarters staff. Two veteran correspondents provide international coverage. Columnist Bob Poole sends monthly essays of consistently high-quality thinking and writing. All of the artwork in PWF was done as a gift from a very talented friend, who donated his work. We started in 1988 delivering the news in black ink on paper in a 9×12 business envelope via first class mail (supplemented with a pdf), and still do. I still report and write the U.S. news, case studies, special reports etc., first from my basement, then my attic and now four blocks from my front door in Westfield, NJ. An interesting thing about small business is that you’re not big enough to get the attention you need from your suppliers to consistently meet your deadlines. (More than once I had to bang on my printer’s front door to get him out of bed.) So I bought a used printing machine. Same goes with outsourcing the layout. Not a problem at 14 pages. Not a chance at 36+. So I learned graphics. Like me, the software and the machines are old. Like me, they usually work fine. In the beginning, PWF’s readers were mostly ideologically motivated business and government executives who believed that the “Reagan revolution” and the “read my lips” Bush presidency would unleash private capital and ingenuity in the provision of infrastructure services. Things got nuanced quickly, and that created a growing demand for timely and precise reporting. Readership has grown each year since 1988. PWF now reaches about 3,500 private practioners, government owners, academics, students and others in most parts of the world. Many of the largest companies pay for the right to distribute our pdf each month to as many of their employees as they wish. Some send PWF to over 50 people! Professional storyboard artist Kevin Sacco created all of the artwork you’ve seen in PWF starting in the early 1990s. Each month, after a short editorial collaboration on the events being written about, Kevin would deliver, often overnight, a sharp cartoon that captured the emotion of the moment. His “BOT” series of five cartoons depicting the stages in the development of a PPP have become a classic among PWF veterans.